The Pharmacy Times has reported that the FDA has approved a new influenza vaccine formulation for the 2015-2016 flu season: "Flubok is made using cultured insect cells and can be produced much more rapidly than traditional egg-based flu vaccines. It also contains 3 times more active ingredients than traditional flu vaccines, according to the manufacturer, Protein Sciences Corp. For the upcoming flu season, there were 2 strain changes." The new flu vaccine made using cultured insect cells is expected to be available in retail pharmacies like Target by mid-August. The annual flu vaccine kills and injures more people than any other vaccine, with no close seconds. In fact, according to the U.S. Government Department of Justice reports on vaccine injuries and deaths submitted each quarter, more awards are issued as compensation for flu vaccine injuries and deaths than all the other vaccines on the market combined. During last year's flu season, the CDC admitted that the flu vaccine was not a good match for the influenza strains that were making people sick. People who had received the flu vaccine were still getting the flu. Some of them died, even though they received the flu shot. Nevertheless, the flu vaccine will be recommended to ALL Americans, including the most susceptible members of our society, the very young (even while still in womb as pregnant mothers will be encouraged to get the flu shot), and the very old, many of them in medical care facilities. First of all, I would like to know from which insect these cells come from. Second, from my own online research, the FDA doesn't even check to see if an individual died from the flu; they make statements like, '... died of complications from the flu'. 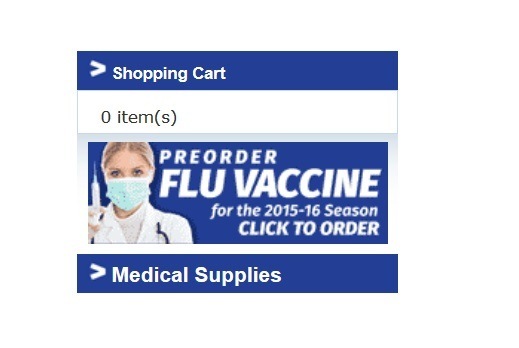 How do they know if they don't check to see if the individual even had the flu?